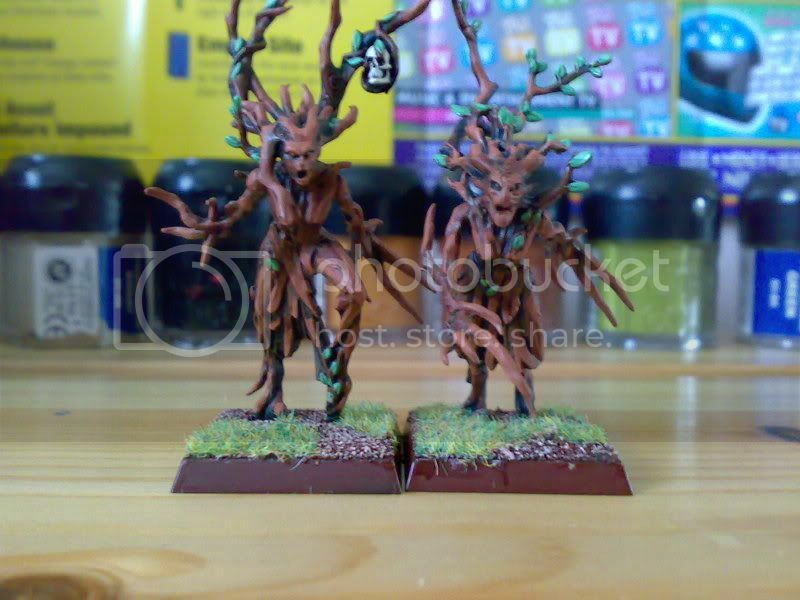 Ok, since i broke my leg last week i have had chance to update my dryads from drybrushed to highlighted and to fix together my battalion set. 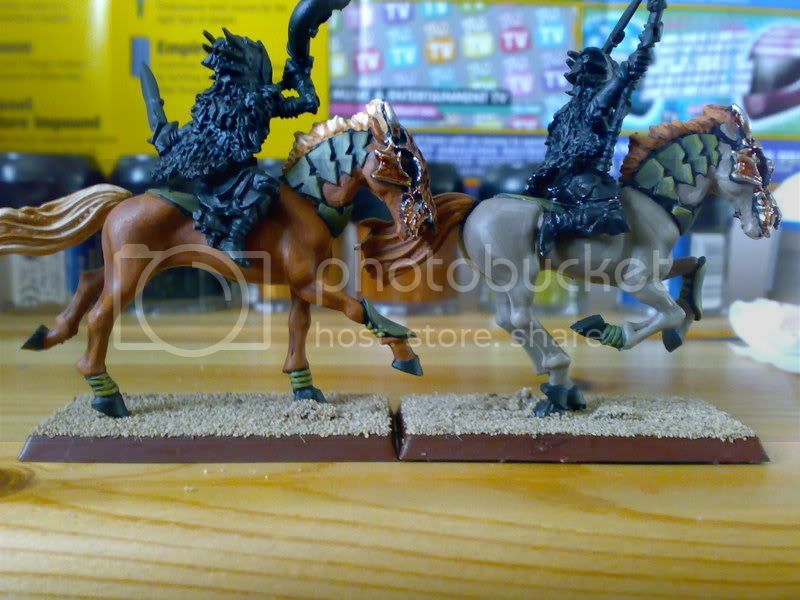 I have painted the horse on a wild rider as well. I will post pictures of the newly painted models tomorrow when i get better lighting conditions as it is dark now and electric lighting puts models [no pun intended] in a bad light. so watch this space! ok, you may have noticed i havent posted those images yet, well i have had a lot of trouble uploading them so i will just send you a link to my photoshop images of them instead to get around the problem. i like the brown horse! what did you use? 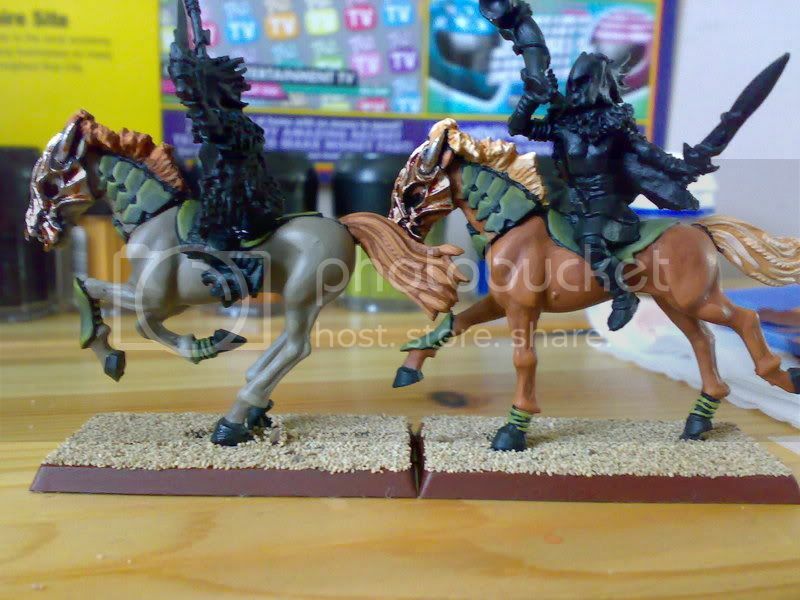 the blending of the "armour" on the horse is very nice. Atlarge wrote: It's not GW if you're not scraping off a dozen nonsensical skulls from each model. Who clicks on these anyways? 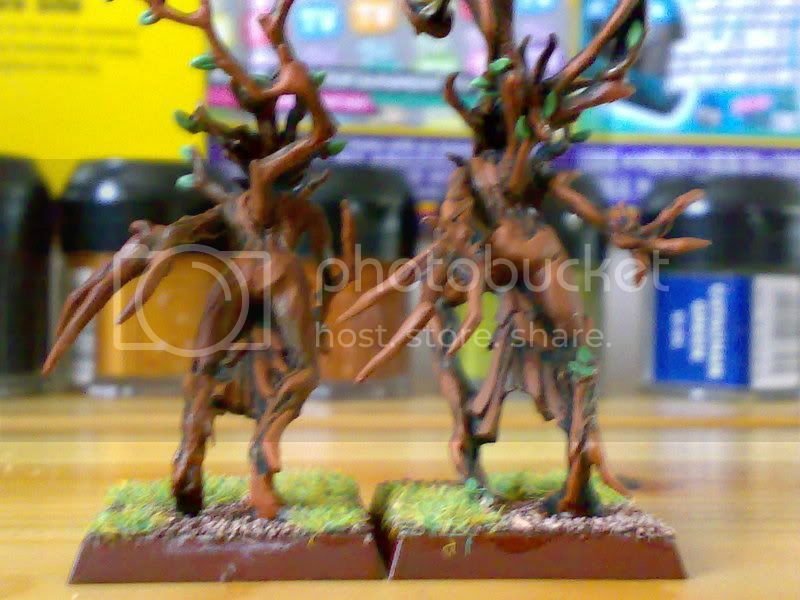 I think the horses looks very nice, compared to the dryads. They just got a we bit to sharp a contrast on the highlight. "Knowledge is power, hide it well"